You may have heard a lot of news about nuclear negotiation between Iran and 5+1 assembly. The result of this negotiation and the decisions that are made by political heads will take care of Iranians’ fortune and perhaps the future of many countries all around the world. Presumably history will judge the final decision!!! However, this decision will have strong influence on economy, political relationships, cultural, and touristic aspects of the whole world. Lets accept this truth that without boundaries that make countries of different names and people with different originalities, whatever exist in the world belong to Him, and we are all a big family. Iran is a country willing to be friendly, however these days some of his brothers and sisters are cruel to her. History and civilization have included all of us. 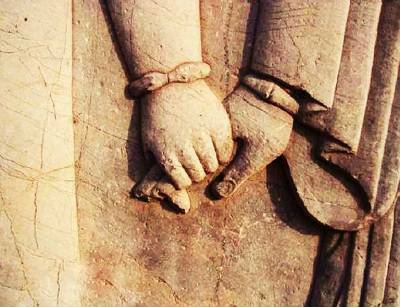 Perhaps our ancestors were thinking about bringing peace and equality in the world while they were building Persepolis 2500 years ago. Perhaps they were trying to keep human dignity safe, and establish a world without slavery with their art and intelligence. These people would have never thought of being forgotten by the rest of their families. It is not hard to follow if we say that a part from all around the world is included in Iran. A country which is the source of primary civilizations and natural attractions will for sure be a good target for tourism industry. This industry will remind us that whenever we are tired of routine life, we can travel around the world and without any distortion help our minds find their peace in the nature. We can perceive the glory of our ancestors in monuments and fragments. We can also have a smile from our brothers and sisters of long distances in our pictures. Doing so, we will find family every where and the most relaxing place ever. Nowadays, there is a wrong image made about Iran outside of its geographical boundaries. You can find any reason and excuse in Iran that will make you willing to go to a country. If you are interested in nature, you will find the four seasons in this country. Considering herbal and animal species and all of the geological and biological sections, Iran is a rich valuable country. In this country, you will experience great forests in north side, vast islands in south side, mountains covered with snow in its west and great desserts in its center. Whatever city and province you choose to visit in this country, you may not miss visiting monuments with thousands of yearshistory with special architecture that you will see no where else in the world. Even if you can not stay for long, visiting cities like Shiraz, Tehran, Isfahan, and Yazd will suffice seeing my words. You will experience ethnic food, clothing, architecture, music and artificial man made crafts in every city of this country so numerous that you will be truly excited. Unfortunately, having these privileges, Iran couldn’t have the chance to be the house of many members of the great family, however, those who have tried visiting this country have changed completely positive toward it. Eventually, Iran has not been justly presented to the ears all around the world. Maybe if there weren’t any political trends around the world, people could have experienced a better significance of the word “family”. “Rick Steves” the American adventurous movie director, has changed his view about Iran after his travel to this country. In the story he wrote about the time he had traveled to Iran, we will read that he was waiting for men with knives and guns in the plane, while he saw calm civilized people sitting next to each other. Tehran, the capital city of Iran, was just like other capitals around the world. He said that he could see the culture and magnificent architecture in Isfahan, and feel the glory of ancient civilization in Persepolis. He mentioned people who were smiling and were eager to start a conversation with you. He says that statesmen will come and go but people will always stay. We hope that whatever decision is made after these negotiations, there comes a time when all the brothers and sister around the world will gather together in our country just the way it has once carved on persepolis walls. We hope people will see Iran as part of their own history that is waiting for its family.